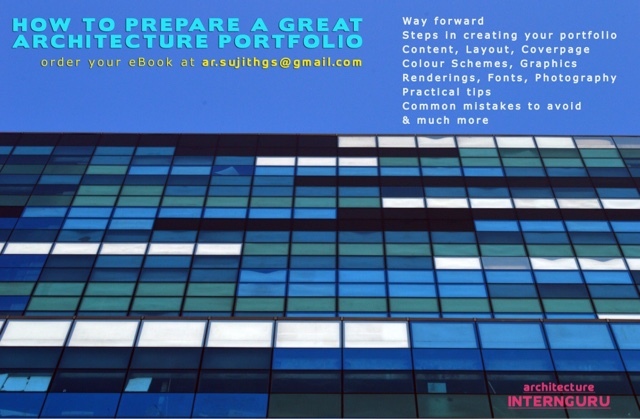 'How to Prepare a Great Architecture Portfolio' is a resource for all the students and young architects out there who have been confused about what all to add in your portfolio and on how to go about creating a good architecture portfolio. 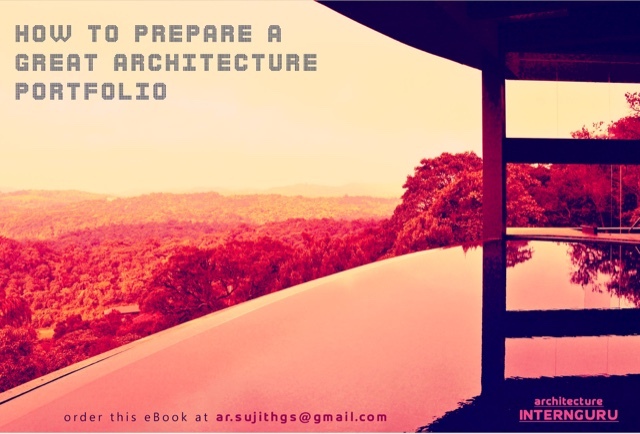 This is a detailed eBook where I'm sharing some of my observations and impressions on how to create a good portfolio. 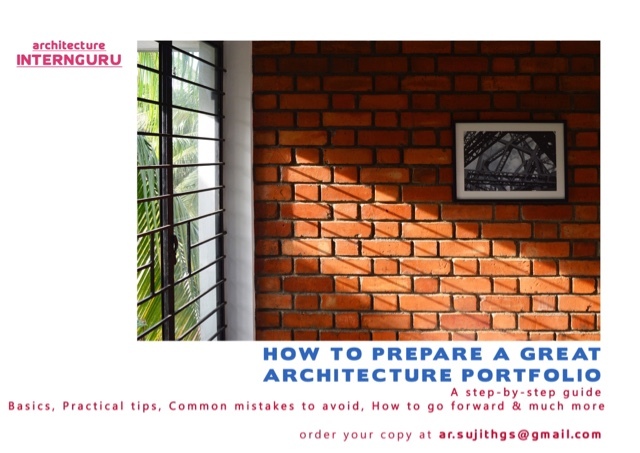 These are based on the numerous portfolios that I've been seeing over the last 10 years, and contain a lot of simple easy to apply principles as well as practical advice on what practising architects look for in a portfolio. There are pointers on how to avoid the common mistakes that most students makes and also a comprehensive guide on all aspects, right from content to graphics, layout, font etc. 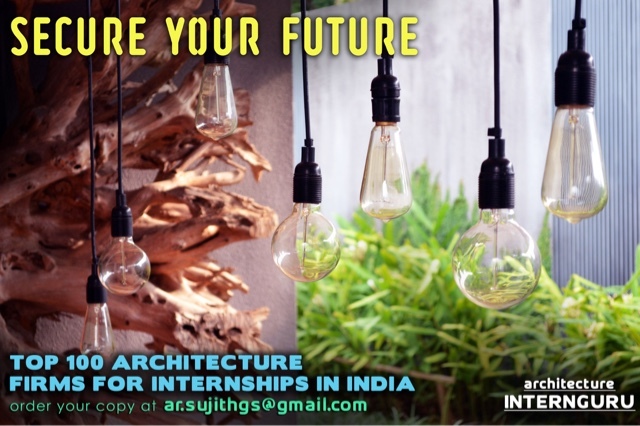 In today's highly competitive world, the portfolio is the main resource which will help a student get that coveted internship position or that first job. So here's to Creating a Stunning Portfolio!